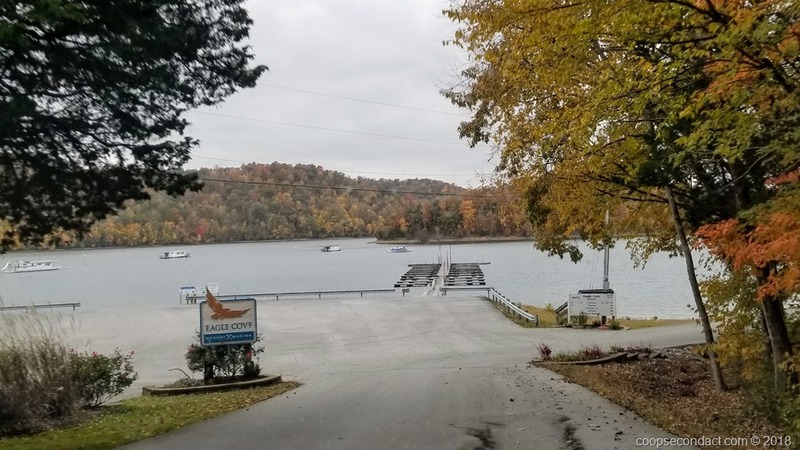 Once again it was time for the annual fall/winter meet up with the Cooper family at Eagle Cove Resort on Dale Hollow Lake near Cookeville, TN. This year the event took place during the first weekend of November. We certainly enjoyed the family, food and lovely fall weather. In addition, we enjoyed two days with my brother, Hew, at his place on Nolin Lake in central Kentucky. We appreciate his hospitality and had a great time visiting with him and Peanut. Finally, we spent one night in Louisville with Nancy and had lunch with her, Alyson and Corey. Our thanks for putting us up for the night before our return to Nashville for our return flight. Finally, our thanks to Ralph and Carlie for allowing us to park our motorhome on their property. This has been a great convenience for us and has allowed us to visit with them and their family as well. Where was the last photo taken? All your photos are so good! Even with all my trauma, I made it into 1 Photo. Ha!